“Mary, Mary, quite contrary, how does your garden grow?” This is an old nursery rhyme but it asks a perennial question – no pun intended… What makes a garden original and special? The answer is as variable as the gardener herself. 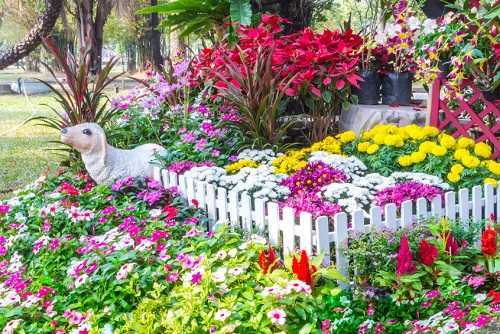 Flowers always bring happiness to anyone who views them, but there are themes which enhance the overall effect and at the same time bring benefits to how the garden grows. These include having flowers that attract desired insects, that repel ones that are unwanted, and that provide medicinal and healing value. Whether you have a large garden, a small plot on the side of the house, or pots of flowers on a deck or balcony, it can be both beneficial and fun to choose plants that provide that something extra. 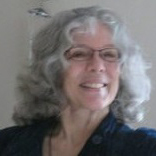 Ecology and the environment are serious concerns. Most of us are interested in decreasing the use of pesticides, not only for our own benefit but to protect the ground soil and water table. Nature has her own warriors for this, and they happen to be fascinating little creatures at that. Ladybugs are called a gardener’s best friend. 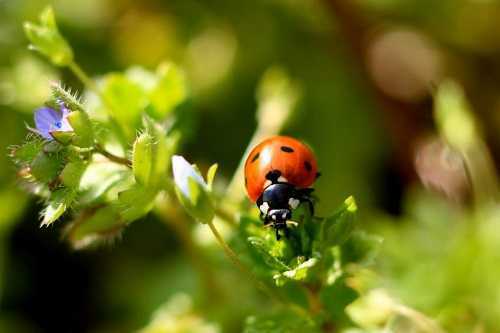 Getting ladybugs to come to your garden is a marvelous way to get rid of mites and aphids, their favorite food, as well as mealybugs. To get ladybugs interested, have at least three of the following flowers available for them: Calendula, Marigold, and Angelica. The petals of these flowers have a level surface that ladybugs like, and they love the pollen. Green Lacewing larvae are very keen for Borage, called the starflower. It is the larvae that are the consumers of aphids, red mites, moth caterpillars, and mealybugs. The lacewings will lay their eggs on the blue borage petals, ensuring a steady supply of garden protectors. Parasitic wasps are superb for controlling a variety of invaders like mealybugs, aphids, whiteflies, cabbage worms, gypsy moth caterpillars, and Japanese beetles. They are drawn to Alyssum. Assassin bugs and hoverflies provide benefit to the garden in late summer and early fall. These insects especially favor Goldenrod. Ground Beetles are born predators that spend the nighttime hours looking for slugs and snails and pests that invade the soil where flowers have been planted. They like caterpillars, too. Perennial flowers draw their attention most of all. 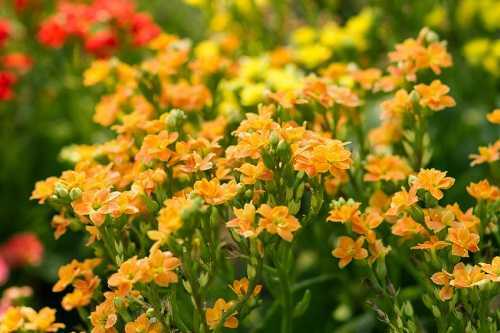 The Marigold stars again, this time as one of the best-known flowers for repelling bothersome insects. 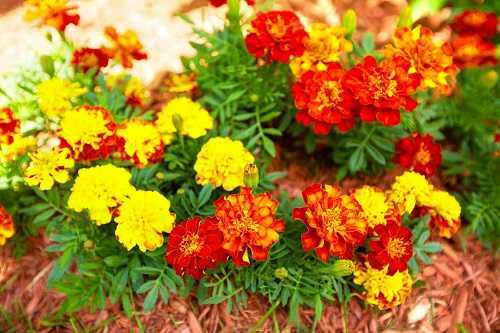 Depending on the type of marigold that is planted, it will keep away nematodes, cabbage maggots, aphids, and Mexican Bean Beetles. The marigolds that have scent do the best job. Lavender, besides having a marvelous scent, repels whiteflies and moths and perhaps best of all, mosquitos. The medicinal value of flowers has been known for millennia all around the world. Essential flower oils and the flower petals can be used to help heal both emotional and physical ailments. These herbal remedies were in abeyance for several hundred years but have once again become a significant area of study and practice. 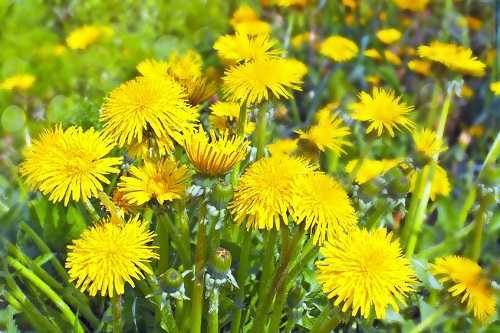 Here are four flowers known for their healing effects and they are a benefit in any garden..
Dandelion flowers are much more than a weed. The flowers are edible. The roots and leaves are, too. This flower is very beneficial for maintaining liver health, controlling the level of blood sugar, and improving digestion. Dried dandelion can be boiled in water to make an infusion of tea. The plant contains many vitamins and supplies potassium and zinc, as well. 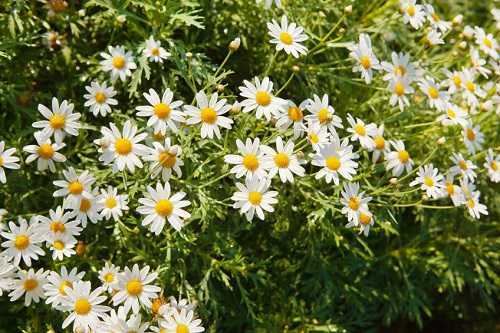 Chamomile flowers have a beneficial effect, as well as adding beauty to the garden. Most people are familiar with the calming effects of chamomile. As with the dandelion flower, dried chamomile can be made into a tea. It helps alleviate stress and encourages relaxation for the body and spirit, both. 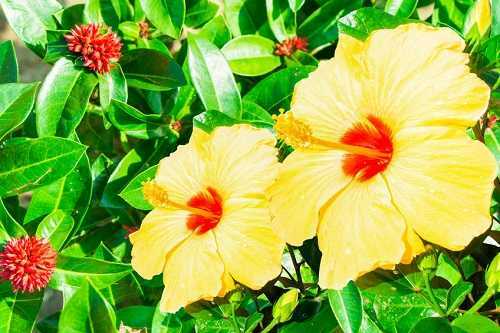 Hibiscus flowers can be crushed in a blender and used as a means of conditioning brittle or dry hair, providing added volume and shine. In the garden, hibiscus appear as large, broad-leafed trumpet-like flowers, in an array of colors. Lavender flowers can be compressed into oil and this is very beneficial. A lavender lotion made with crushed lavender and coconut oil soothes dry skin. A lavender rinse for the hair wards off dandruff. 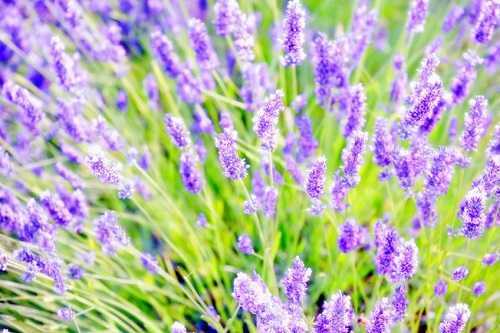 But most of all, the scent of lavender in your garden brings instant relaxation from stress. Have you planted other flowers that invite useful insects and control unwanted ones? Have you ever added edible flowers to your menu? Let us know in the Comment section, so others can share in your suggestions.